Where to Buy Dominion Tree & Shrub, Dominion Tree Shrub Insecticide - Qt - $18.95 for Sale with Fast Free Shipping! Dominion Tree Shrub Insecticide - Qt is for use on outdoor trees and shrubs including listed fruit and nut trees to kill Adelgids, Aphids, Bronze Birch Borers, Leafminers, Scale and other pests. 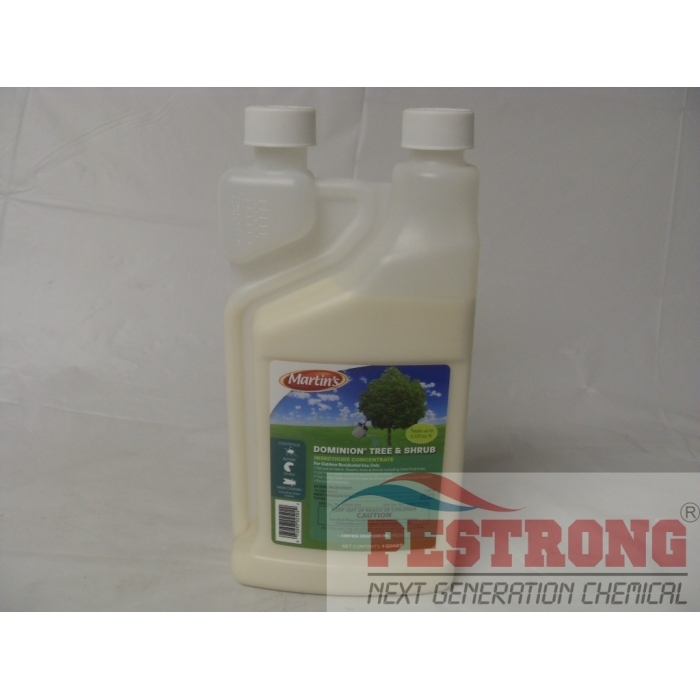 Dominion Tree & Shrub is a 1.47% Imidacloprid product for outdoor residential use only.